Happy Easter Y’all!! I don’t normally post on Sundays, but my family has a fun Easter tradition that I wanted to drop in and share today. 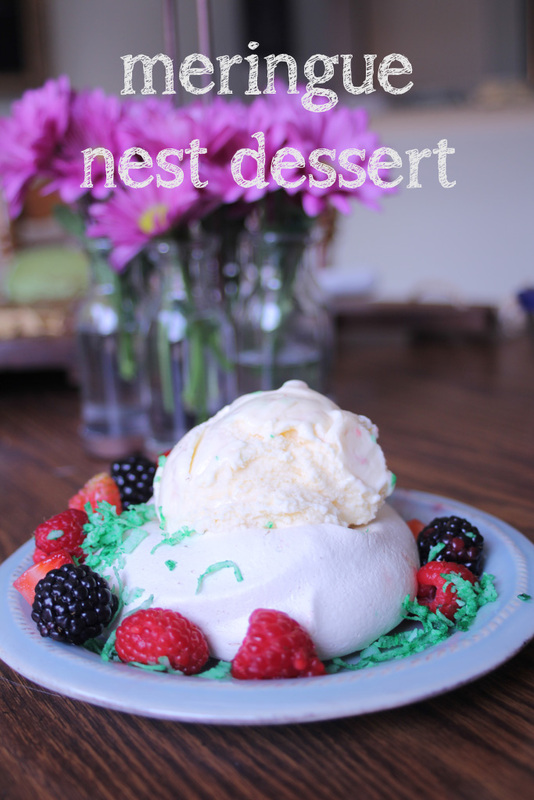 Every Easter Sunday the dessert for our dinner growing up mom made these fun meringue nests for dessert. 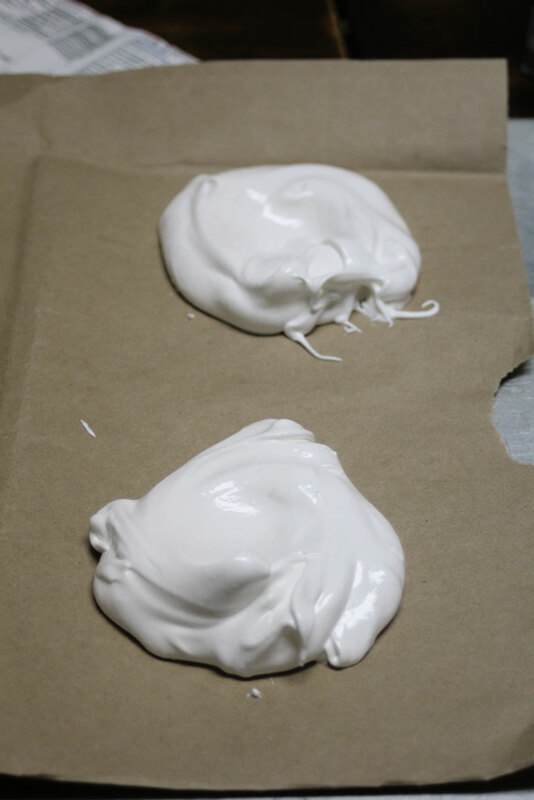 They are fairly simple to make, the only difficult part is the meringue. I made the meringues the day before I served them. Then lay them out on parchment paper on cookie sheets in circles with an indention in the center (think shaped like a nest) like this: (I was out of parchment paper, so I used the inside of paper bags like my mom always did). We love doing those at our house, too! YUM!